She also makes her journey to the heart of blood a personal one, said Susan Lederer in Science magazine. She opens the first chapter describing the workings of the circulatory system while making a blood donation, and we learn as she drills deeper into her subject that she’s fighting menopausal depression and a uterine disorder that become emblematic of the special burdens women bear because society has been squeamish about blood. 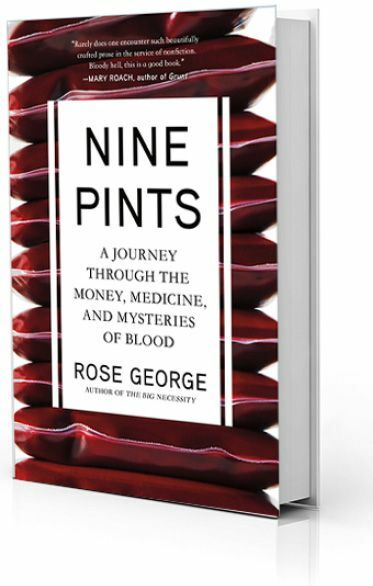 Subsequent chapters take George to a Welsh leech farm, where leeches are bred to be used on skin-graft patients, and to Delhi, where she encounters poor people offering to sell their blood outside hospitals. That elicits an impassioned argument against the sale of blood or plasma, a practice that she says always results in exploitation of the poor and extra risk to patients.